Getting into medical school was easy. The hard part was staying out of jail. Third year medical student Raj Mok is excited about starting his clinical rotations. Finally, he'll be taking care of real patients instead of just reading about diagnoses and treatments in his countless medical tomes. Unfortunately, Raj quickly learns that patients don't behave like his beloved books led him to believe. The death of his very first patient is a shock. She never even had a chance at life. Raj's second patient, Duane-a young professional-enters the hospital with a benign kidney condition, but only one person knows the truth about why he never left. Meanwhile his third patient, a crotchety nonagenarian who happens to be Duane's neighbor, leaves the hospital just as she arrived, only with a few new stents after her third heart attack. Proving bad things happen to good people in medicine. Discouraged and contemplating a change in careers, Raj is elated when his fourth patient, a surgeon himself, defeats cancer thanks to a heroic operation. While his career as a surgeon is over, his quality of life reaches new heights. 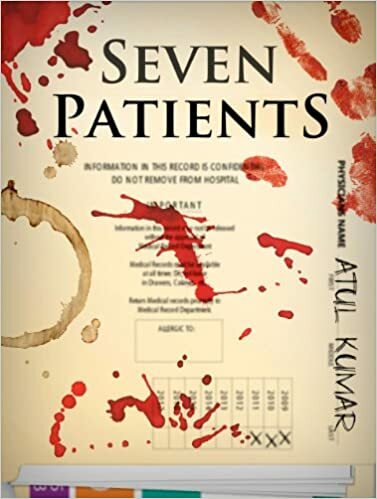 When his sixth patient destroys the life of his love interest, Raj quickly learns that doctors make very good executioners; the autopsy even confirms no signs of foul play. Patients five and seven ... you just have to read about them to believe it. The most outrageous patients of the year teach Raj that medicine isn't always about healing and that killing isn't always murder.